The Sahara, steeped in myths and legends, is the dream destination of many a romantic adventurer. 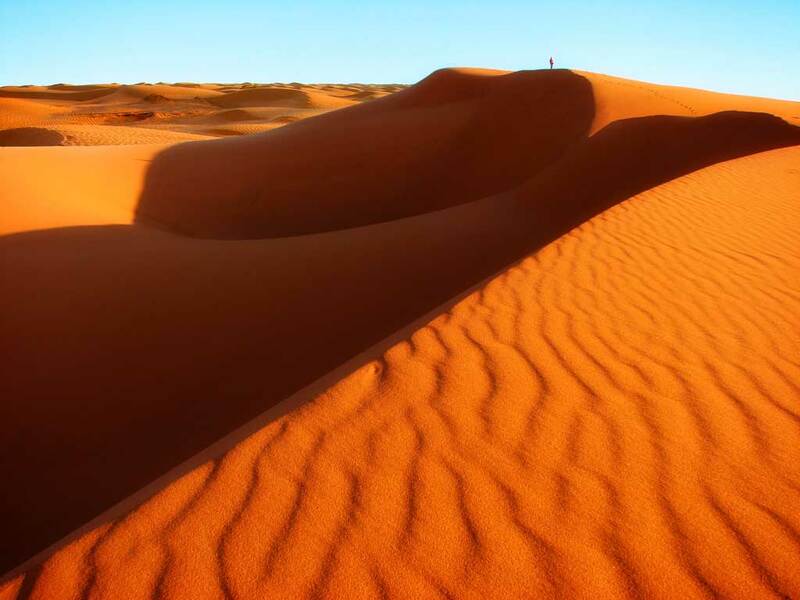 The towering Erg Chebbi, Morocco's largest dunefield, has some of the most expansive erg (sand seas) of the Sahara. It is near the tiny village of Merzouga. It offers stunning, breath-taking and some of the finest desert views in Morocco. You will be mesmerized by the powdery fine sand dunes with their ever-changing color and shape while painted by the sun and sculpted by the wind. Another one of the 50 Places of a Lifetime.